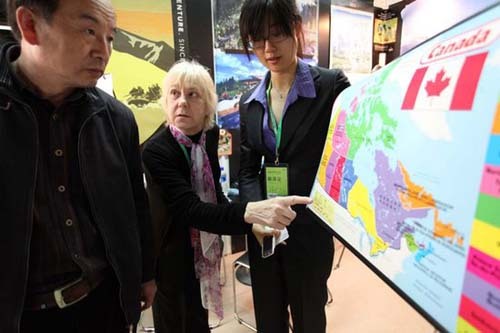 Brief：The reasons why Chinese buyers pay attention to overseas property are education and emigration. Less than 12 months ago, the Chinese government got a shock when the results of a comprehensive survey of high-net-worth Chinese were released. The two organizations behind the survey are very respectable, Bain & Co and China Merchants’ Bank, so the results can’t be written off as a fluke. The survey revealed what many Australian agents had already been feeling: rich Chinese, for various reasons, want to get out of China, and they believe buying property in Australia and other countries enables their escape. A full 57% of rich Chinese have contemplated emigration. About 20% have actually completed immigration procedures in countries like Australia or expect to do so soon. These percentages account for huge numbers of individuals, because China has the fourth-largest number of high-net-worth individuals in the world. Each year the cohort grows by nearly 10%. Many of those rich Chinese emigrants are coming to Australia. China sent more immigrants to Australia in 2010 than any other country, including the UK and New Zealand. Foreign residency could also be useful in case China goes through policy shifts, like massive new wealth taxes, or social unrest. China is a rapidly changing country. Riots, strikes and protests recently doubled over the last five years to 180,000. Emigration and educating children are just two of the reasons wealthy Chinese are buying property in Australia. The third is for investment. Australian property is an attractive investment in its own right, with credible economists predicting prices will be 55% higher in 10 years. Many developers depend on Chinese buyers for their off-the-plan unit sales. Chinese parents often buy Australian apartments for their children to live in while studying. At the Stamford Residences, a 30-level tower at The Rocks in Sydney, one buyer recently bought a $2 million apartment to serve as this sort of student housing. In total, mainland Chinese buyers snapped up about six of the building’s 122 apartments. Chinese buyers also make their mark on the higher end of the market. Just this month, a luxury penthouse at Lumiere Residences in the Sydney CBD was reported sold for $8.1 million to an Asian, possibly Chinese, investor. But, while new developments and luxury properties grab the headlines, the overwhelming interest I see is from Chinese buyers enquiring about affordable second-hand property in good locations.